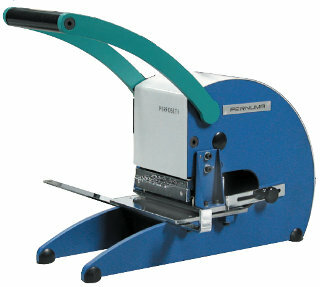 Our date perforating machine Perfoset D1 is a small manual perforator. 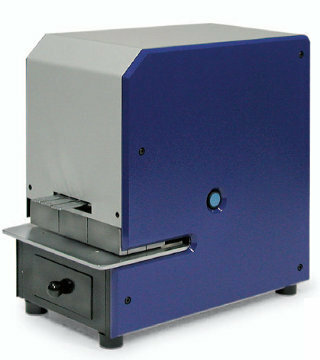 This machine is supplied with 18 figure slides for a 6 digits date in their standard version. 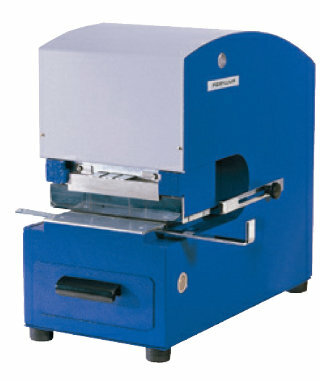 The date perforating machine Perfoset D2 is our big manual perforator with a maximum capacity of 25 sheets. 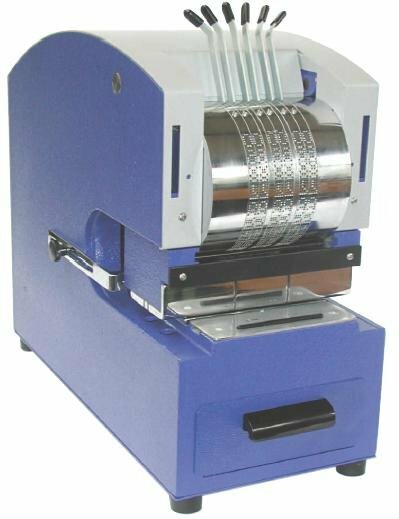 This machine is supplied with 18 figure slides for a 6 digits date in their standard version. 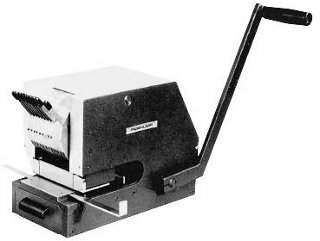 The date perforating machine Office D is a small but powerful electric perforator. This machine is able to perforate up to 20 sheets of paper in one single operation. Manually operated perforating machines with adjustable wheel block. Electric Date Perforating Machines Perfoset ED. for everlasting and secure marking of documents, labels, films or packagings by a date or changing combinations of letters and/or numbers – without applying any physical force. Electric Perforating Machines with Adjustable Wheels Perfostar ED. for permanent and indelible marking, dating or labelling of multiple documents or labels in one single operation or for numbering sets of forms, receipt blocks, passports etc.